The Polk Audio LSiM 706c will help you build the cinema you desire so much by providing high-performance center channel speaker that is developed to be as good as the other LSiM series like LSiM 707 and LSiM 705. This center channel flagship comes with a dual PowerPort bass venting system and two 6 ½ inches mid-woofer which enable this amazing speaker to effortlessly produce tremendous levels of volume. This center channel speaker is also able to anchor the action to the screen with clear details because of the presence of the 3 ¼ inch midrange and a 1-inch ring radiator tweeter that is often located on the speaker. The Polk Audio LSiM 706c is capable of blending effortlessly to any exterior and it has a front stage output of the Slim floor standing loudspeakers. The Polk Audio LSiM 706c comes with an exclusively designed dynamic sonic engine that optimizes the midrange driver and the ring radiator tweeter in different interior chambers to superior imaging, greater horizontal off-axis response and enhanced transient response. It also comes with improved, re-engineered ring radiator tweeters that extend top-end response for amazing details and detailed imaging. It also has an extended linear motion voice coil design that enables it to have several movements in a restricted space, removing impedance and extending mid-frequency and high-frequency response. Its motor optimization utilizes laser measurement technology to make sure that there is a smooth excursion path at either end of the volume spectrum for optimum performance at both high and low volumes. The Polk Audio LSiM 706c comes with a Dynamic Sonic Engine made up of a 3 ¼” midrange driver and a 1” ring radiator tweeter in its own enclosure which is sealed acoustically. This tightly spaced duo serves as a “mini monitor”. The precise arrangement of the tweeter and midrange enables them to disperse sound over a wide, uniform region with incredible off-axis response in the critical 200 Hz to 2000 Hz midrange driver. The LSiM 706c comes with the new super cell aerated polypropylene that uses larger “puffed cells” to develop a cone material that is thicker but lighter than the original. This is often used in both the woofers and midrange to enable them to move faster and with improved efficiency. This component is designed and developed exclusively by Polk. It is a specially shaped “cone” at the mouth of the bass port that focuses moving air to eliminate turbulence that may cause bass loss. And since there is no turbulence, there will be no wasted power which means there will be a more efficient bass response. The Polk LSiM 706c has proven to be capable of producing high-performance center channel sound for people that require heavy-lifting home theater system. It is able to produce the required effortlessly wide, deep soundstage and detailed imaging that will immerse the audience in the on-screen details. This speaker will enable you to hear sounds from your favorite movie or TV show characters with precise detail, complemented with special effects that secure the range from an amazingly deep bass to the most delicate highs. 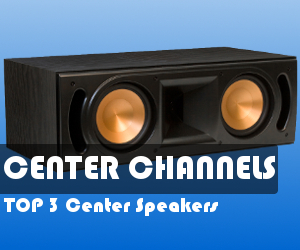 This center channel speaker relies on the design of the acclaimed LSiM series of speakers. The LSiM series integrates the latest developments in speaker technology that is incorporated into a newly designed enclosure that is beautifully developed and aesthetically finished. One of the most essential elements that ensure the success of Polk Audio’s original LSi series is the ring radiator tweeter. 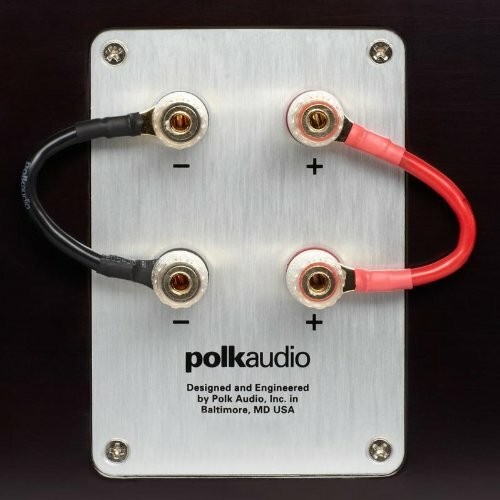 The Polk Audio LSiM 706c comes with an enhanced ring radiator tweeter. The tweeter is now bullet shaped, thus enabling it to move further out of the baffle, increasing the dispersion of sound and removing horn-loading. 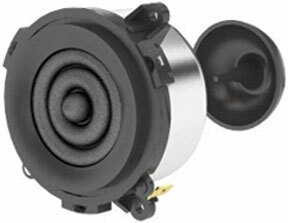 The tweeter’s face-plate is now opened and its diaphragm roll has been redesigned to increase its efficiency and improve dispersion even more. This improved ring radiator tweeters come with their own tuned enclosure (Dynamic Sonic Engine). It also comes with higher power holding capacity, enhanced dispersion, extended top-end response and extended dynamic range. 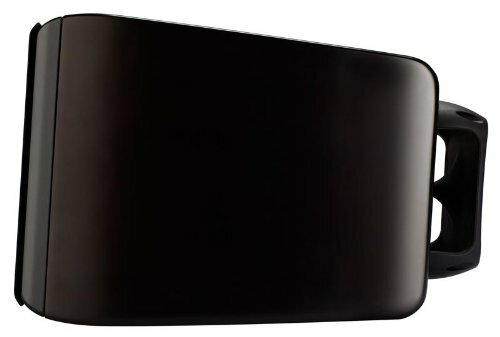 This is one of the best cone woofers available because it comes with cone material that is lightweight (which enables for more efficient and faster performance) and stiff (which reduces the distortion-causing flex), with proper internal damping that is capable of suppressing and offsetting any limitations of its lightweight stiffness. The Super Cell Aerated Polypropylene is designed in a way that balances the lightweight stiffness with high damping, as well as good resistance to moisture, UV and temperature extremes. 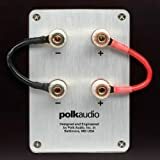 This center channel speaker makes use of proprietary engineering, designed and patented by Polk Audio to maintain a lower order crossover design and improve power handling. The Polk Audio LSiM 706c will help you build the cinema you desire so much by providing high-performance center channel speaker that is developed to be as good as the other LSiM series like LSiM 707 and LSiM 705. This center channel flagship comes with a dual PowerPort bass venting system and two 6 ½ inches mid-woofer which enable this amazing speaker to effortlessly produce tremendous levels of volume. This center channel speaker is also able to anchor the action to the screen with clear details because of the presence of the 3 ¼ inch midrange and a 1-inch ring radiator tweeter that is often located on the speaker. The Polk Audio LSiM 706c is capable of blending effortlessly to any exterior and it has a front stage output of the slim floor-standing loudspeakers. The Polk Audio LSiM 706c comes with a Dynamic Sonic Engine made up of a 3 ¼” midrange driver and a 1” ring radiator tweeter in its own enclosure which is sealed acoustically. This tightly spaced duo serves as a “mini monitor”. The precise arrangement of the tweeter and midrange enables them to disperse sound over a wide, uniform region with incredible off-axis response in the critical 200 Hz to 2000 Hz midrange driver. The Polk Audio LSiM 706c comes with the new super cell aerated polypropylene that uses larger “puffed cells” to develop a cone material that is thicker but lighter than the original. This is often used in both the woofers and midrange to enable them to move faster and with improved efficiency. PowerPort is designed and developed exclusively by Polk. It is a specially shaped “cone” at the mouth of the bass port that focuses moving air to eliminate turbulence that may cause bass loss. Since there is no turbulence, there will be no wasted power which means there will be a more efficient bass response. The LSiM Center Speaker is one of the best I have heard and has the best sound as far as in the Polk Audio Line. If you enjoy Polk Audio speakers and this budget fits your needs this is the one you want. I can promise you will not be disappointed. 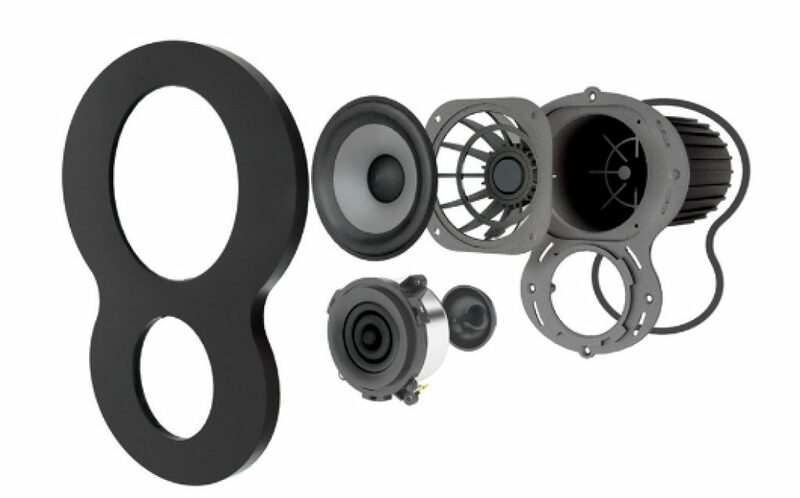 Enhanced, re-engineered ring radiator tweeter extends top-end response for incredible details and realistic imaging. Build the cinema of your dreams with this high performance flagship center channel speaker designed to hold its own next to the LSiM707 and 705. Two 6 1/2-inch mid-woofer drivers and a dual PowerPort bass venting system mean that this is a center channel speaker that can effortlessly deliver tremendous volume levels. The 3 1/4-inch midrange and the 1-inch ring radiator tweeter, usually found on speakers costing many times more, help anchor the action to your screen with clear details. The LSiM706c keeps pace, and blends seamlessly, with the front stage output of your Slim floor standing loudspeakers. What is Frequency Response in Speakers? © 2019 Center Speaker Zone. All rights reserved.